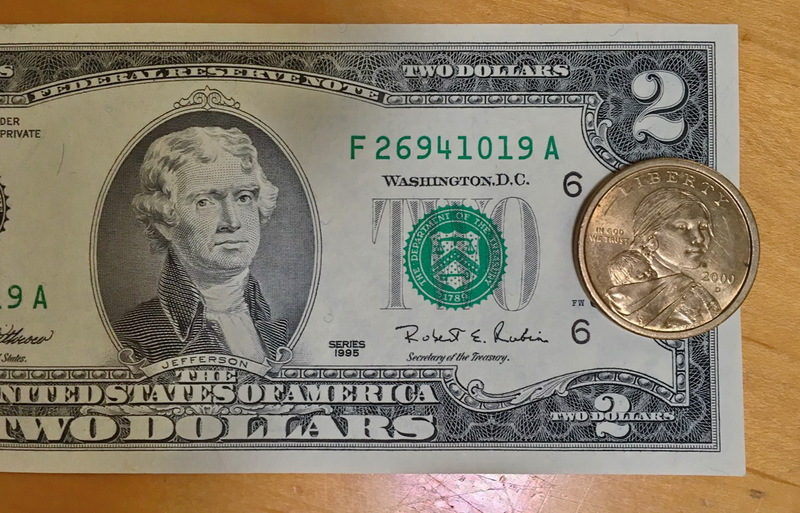 Yesterday, I was running errands, and a shopkeeper gave me a $2 bill as change. At my next stop, I received a Sacagawea dollar coin. I had to ask myself if it had been declared Oddball Currency Day, and nobody sent me the memo. 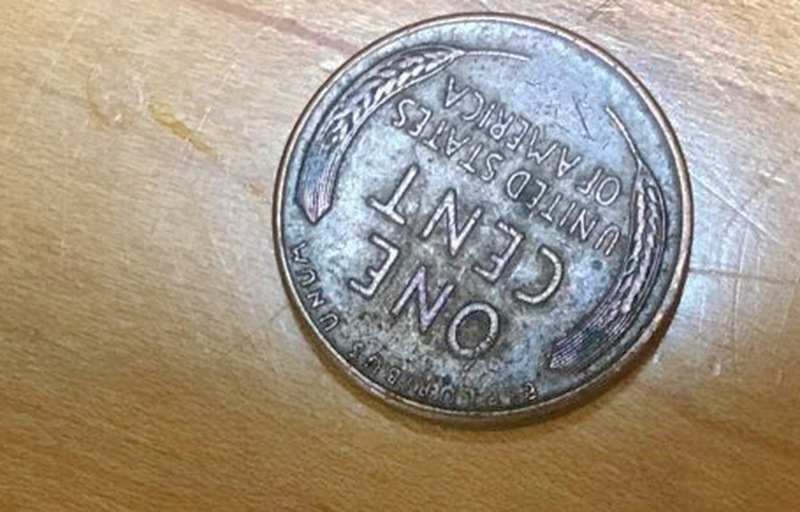 Winged Mercury Head Dimes, and coins produced during WWII that, due to the War effort, were minted from alternate materials. 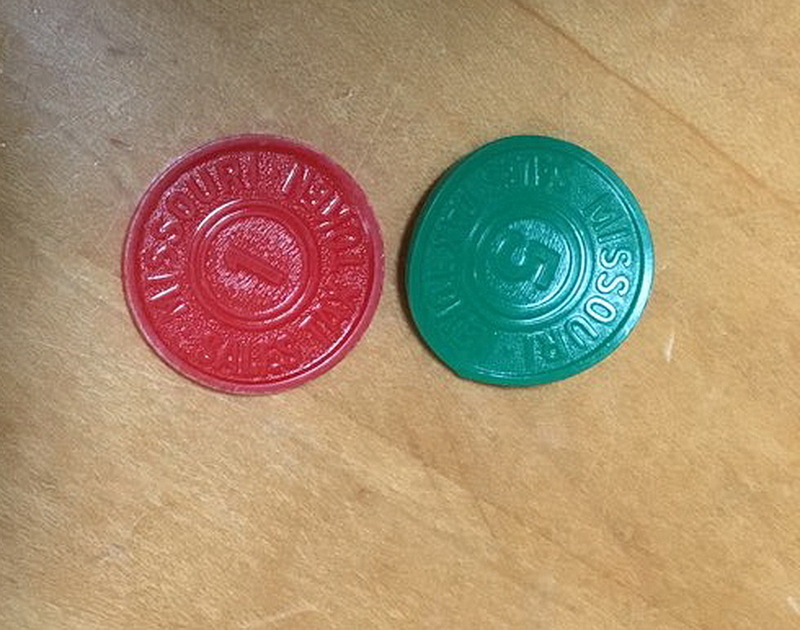 In Missouri, where I was raised, we also had .1 and .5 cent Mills or fractional tax tokens-I think sales tax was 4 ½ %, so although a nuisance to carry around, they probably came in handy. From time to time, she also gave me Silver Dollars, uncirculated coins, and in 1957, she gave me a U.S. Mint Proof Set-a full set of newly minted coins encased in a plastic container. 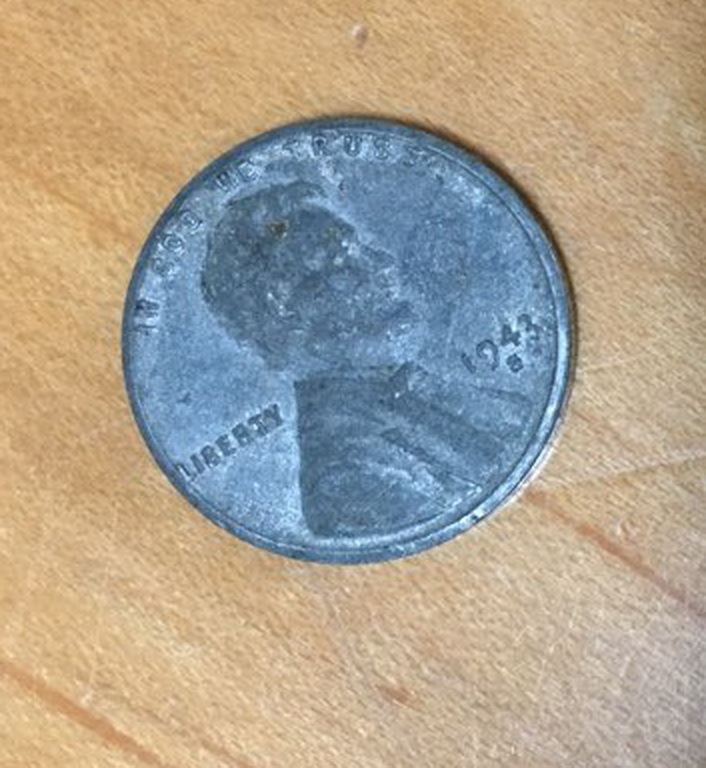 ’57 pennies still had the Wheat Back design, which I still sort out of my change jar. 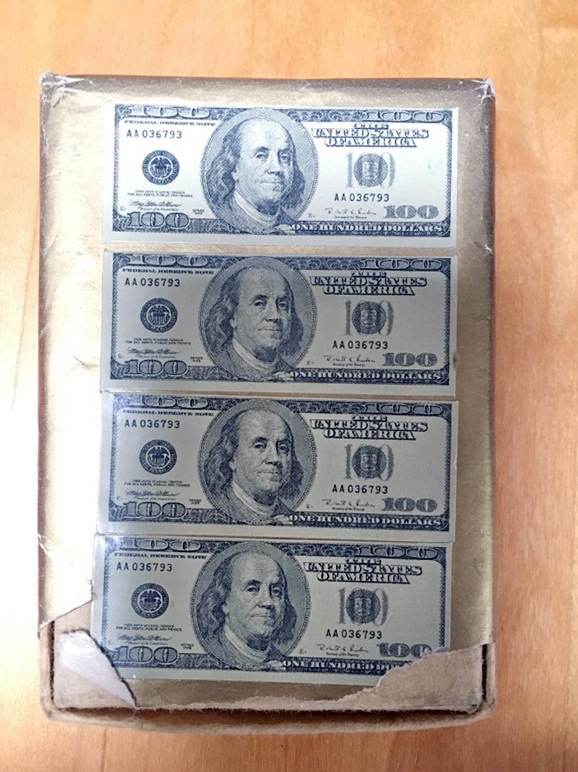 The Proof Set was wrapped in a box decorated with miniature $100 bills. 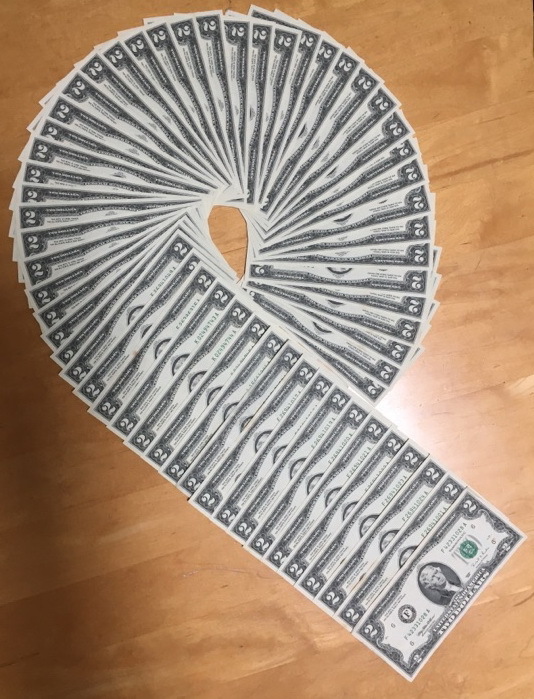 But the $2 bill had a special place for her, for on my 50th Birthday, she gave me 50 of them. 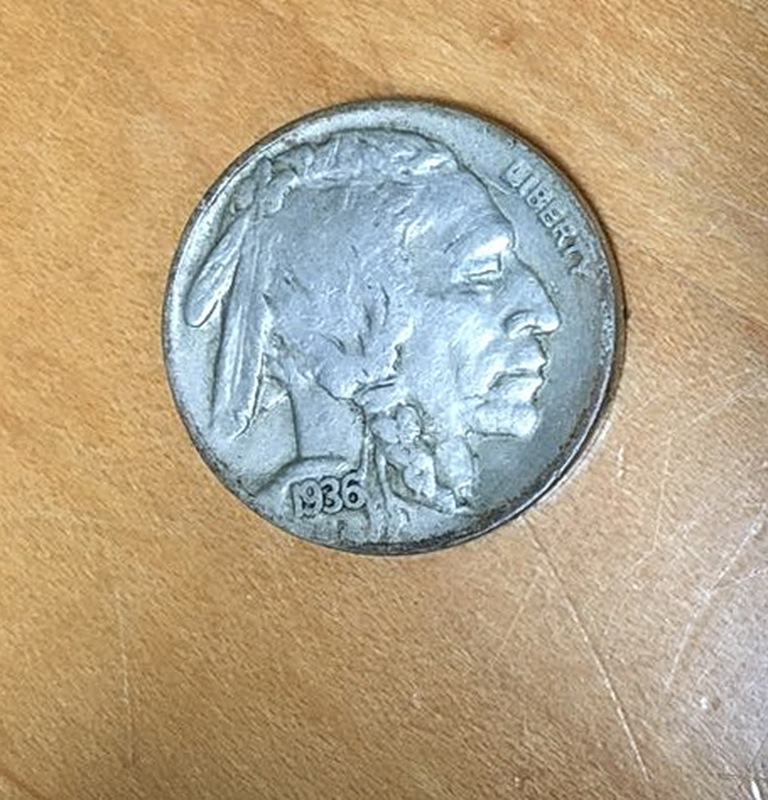 It is curious that coins bearing the likeness of Native Americans and Women (including Susan B. Anthony) fall out of favor, and we are left with a bunch of White Guys. 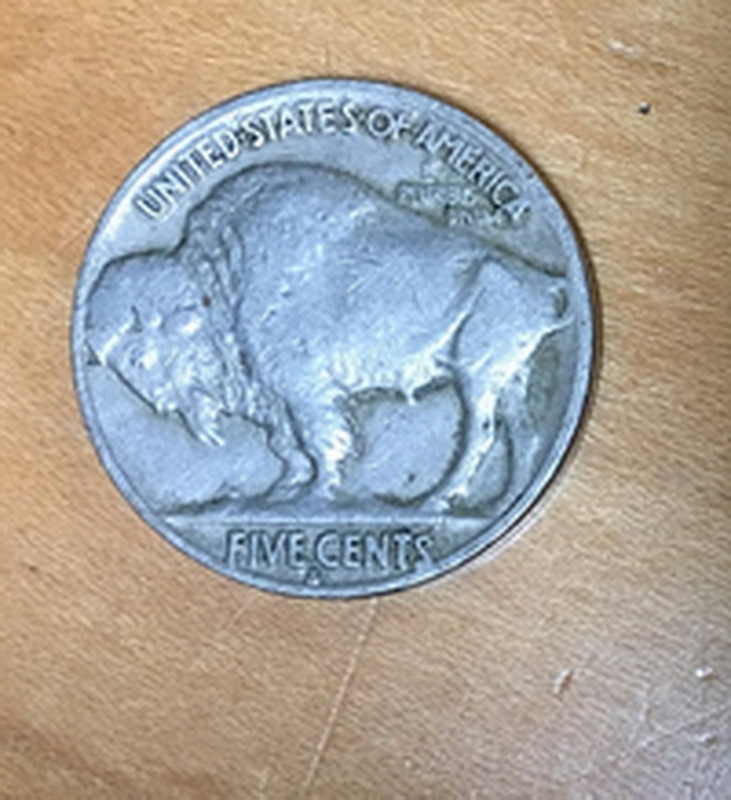 This entry was posted in Other Stuff and tagged $2 Bill, Buffalo Nickel, coin collecting, Sacagewa Dollar, U.S. Mint Proof Set, Wheat Back Penny on December 9, 2018 by Jimmy Reina.